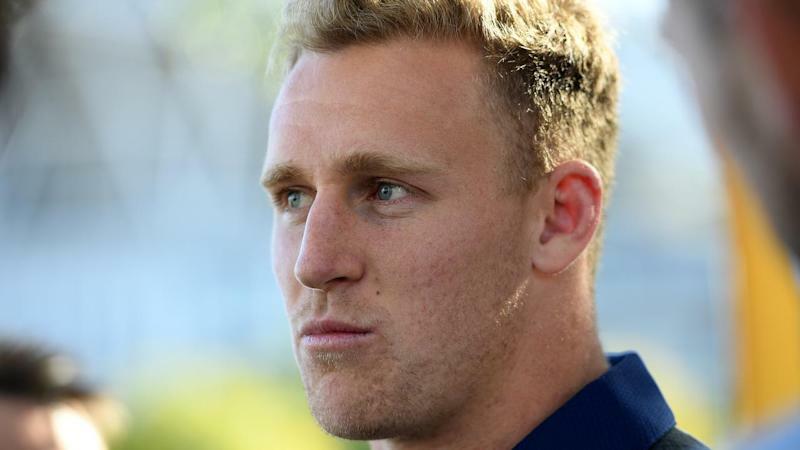 Wallabies centre Reece Hodge is only an outside chance of playing in the Melbourne Rebels' Super Rugby opener against the Brumbies next Friday night as he continues recovering from an ankle fracture. Hodge underwent surgery late last year after a mishap at Wallabies training in Japan ahead of their Spring tour and while he's desperate to play round one, admits it's unlikely. With the Rebels having a round two bye, Hodge says round three against the Highlanders in Melbourne may be a safer option. "I'm back into doing most things at 90-100 per cent, so I can't say for sure if I will be playing on Friday," Hodge said. "Everything would need to go at 100 per cent right for me to play. "The safer option is to say round three, given we have a bye in round two, but there is still a chance I get up for Friday." While it's interrupted his pre-season, Hodge says the upside is he feels mentally fresh ahead of a big year that includes the World Cup in Japan. The surgery also means he should finally be pain-free after ongoing issues with the joint following an earlier break. "I had a screw put in the tibia at the bottom and then had a clean-out of some old gunk," the 24-year-old said. "The surgeon came in after the surgery and said 'I don't know how you've been running around on that thing', which is always good to hear, but it has felt a little looser and my range has improved since the surgery. "Hopefully it means a little more athleticism with my running but it is still early days. Hodge is looking forward to playing outside star recruit Quade Cooper, who is set to fill a play-making weakness in the Melbourne line-up. Hodge says he was lucky enough to spend the 2016-17 Test seasons playing outside Cooper and learnt a fair bit off him. "Everyone knows what he can do with the football and the way he can release his outside backs so it's an exciting prospect for me and the boys playing 12 and out in the backline and hopefully it can come to fruition throughout the season and we can put some exciting tries together."